I’ve had this recipe for lavender meltaways brewing in my head for a while now and finally got around to testing it out recently. 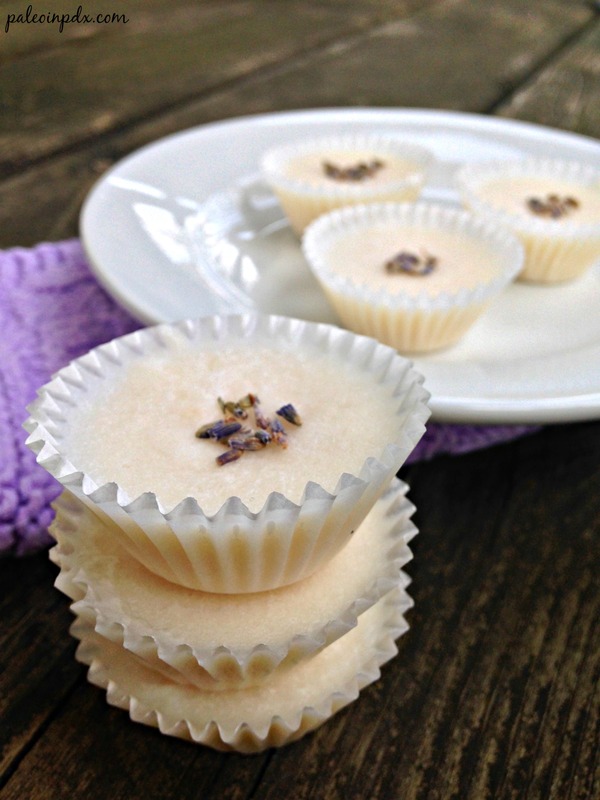 These are delectable little fat bombs with a refreshing lemony and lavender flavor. They’re the perfect after dinner treat and quite satisfying too. The lavender in these is just right and tastes so lovely. If you’re not a fan of lavender, you can omit the oil (and flowers) and add 2 drops of peppermint or orange essential oil instead. These also taste great plain, but I think it’s fun to add a little something extra. Note: please make sure to only use pure therapeutic essential oils for cooking. Many essential oils that are sold in stores are not 100% pure and can be chemically adulterated. These are not meant for consumption! My essential oil of choice is Young Living. Learn where to get high quality essential oils HERE. In a large bowl, mix the first six ingredients together until smooth (the texture will be a little gritty from the coconut cream concentrate — just make sure it’s all blended well!). Then, add the drop of lavender essential oil and stir again. Line a mini muffin pan with mini paper liners. Alternatively, you can place the liners on a baking sheet, but they might be a little misshapen. Spoon mixture into the liners. Place in the fridge to chill about 10-15 minutes (mixture should still be a little tacky). 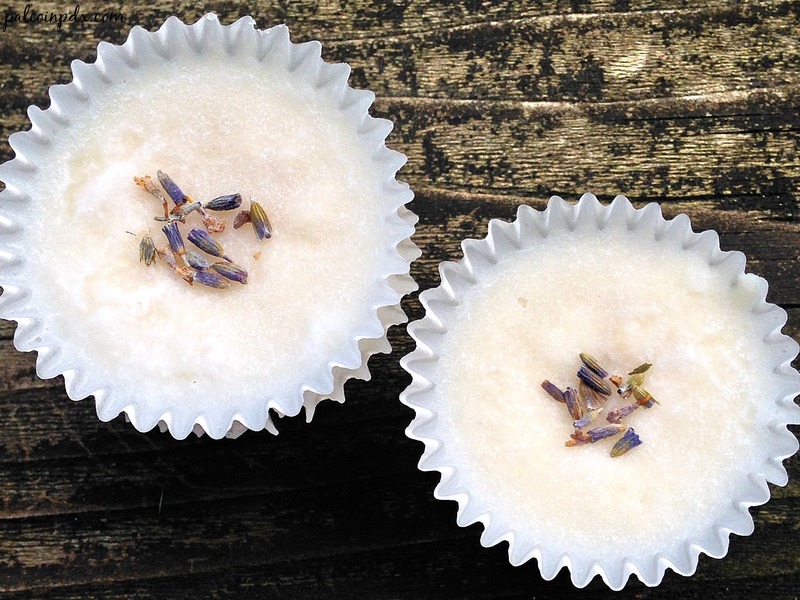 Remove and garnish with lavender flowers, if using. Then place back in the fridge to set completely. Store in the refrigerator. You can eat them cold, right out of the fridge or let them soften slightly at room temperature before eating. This truly looks heavenly. Way to knock it out of the park! Thanks, Ashley! I’m pretty proud of this one too! Yay, an AIP-friendly recipe that I can make now! Totally making these this weekend since our current stock of fat bombs are almost gone. These look so good! These look awesome! My wife and I just started trying essential oils so we will definitely try this recipe! These look great! 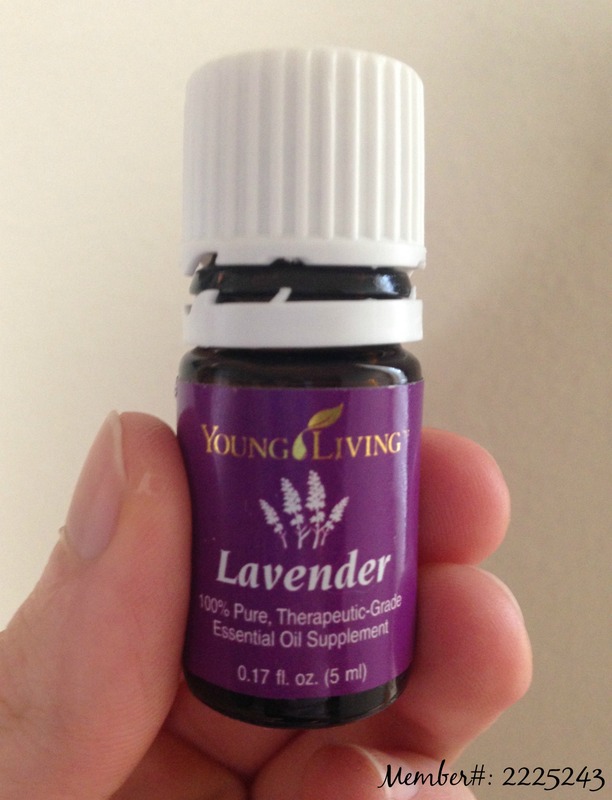 I recently started getting into essential oils, so this post is perfect timing!